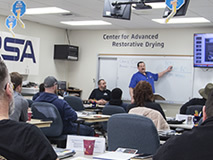 Restoration Sciences Academy provides real-world restoration training in dynamic and engaging hands-on learning environments taught by industry experts. Our courses help you understand and apply proven techniques that let you work more efficiently, improve your bottom line and grow your business. RSA - Science that Works!